Gamification as a marketing technique is not new, and many brands have explored it to attract new customers and retain their existing customer base. Probably, all of us at least once looked for random prizes under soft drink bottle caps, scratched a card or collected points to get an award. While not too many people actually hope to win, this technique serves its main purpose – making us buy the brand’s products repeatedly. Why is gamification so effective? It aims at one of the most basic instincts – competition. To compete, to win, to achieve – these are ancient drivers of humans that once meant survival and in the 21st century still play an important role in our behavior. If you feel skeptical about such theories, we have some hard facts and figures proving that even today games still excite us. In 2018, the global game industry revenue reached as much as $43 billion leaving both films and video streaming behind. The most logical conclusion we can make out of this fact is that the public generally leans towards gaming as the source of entertainment preferring them to traditional formats, such as movies. The retail industry uses gamification extensively – from lotteries and quizzes to game applications designed to promote the brand and encourage sales. The latter case when an entire game app is developed is especially interesting, as this is where the brand can amaze its customers with smart usage of advanced technology while still pursuing its main goal – attracting and retaining users. Let’s look at this marketing technique – building games to promote the brand – in more details. We will try to answer the most frequent questions concerning advertising games based on the experience we have in building such a game. Advergaming, or building games to promote a brand or product, is a powerful marketing technique that can be more effective than, for example, in-game advertising. Indeed, what do you usually do when your game is interrupted for an ad? You either skip it or wait in irritation for the ad to finish so that you can continue playing. With advergames, it is totally different. The brand builds a game that promotes its product, but the promotion is cleverly integrated into the gameplay and does not distract or annoy. The customer intentionally downloads the game to play it, that is, they consciously want to explore a new software product that the brand offers. No skipping, no annoyment, just engagement. Remember, we mentioned competition as one of the basic instincts? Use it to the maximum – create a multiplayer game to allow your customers to compete with each other. With a multiplayer advergame, your promotion opportunities get much wider, as the customers will look for competition partners urging friends and relatives to download the game and, ultimately, to purchase your product! In the retail industry, introducing a game as one of the marketing tools is rather logical and, with professional development and promotion, is likely to bring profit. Retail enjoys one of the largest user bases with the majority of them using smartphones. Offering them a funny and smart mobile game will be a huge step towards making them loyal customers of the brand. How can advergames bring customers and retain them? The advantage of the retail industry is that most of the products come with packaging. The packaging is one of the communication channels between the brand and the customer. Brands use packaging to increase their recognition, inform customers of current promotions or offers and, of course, to play games. If you are planning to launch an advertising game, the easiest and the most obvious solution to reach the customers will be printing a QR code on your product packaging. Most of the people purchasing your product will be curious to see what kind of game you offer and scan the code to download it. Here, we should note that using product packaging to advertise the game is both convenient and inexpensive. If we compare the costs that businesses use to promote a game or other marketing product with the cost of developing it, we may find that to promote a game is more expensive than to build it. At the same time, advergames promoted via product packaging require minimum resources – you only need to adjust the layout to incorporate the QR code, and you are good to go! Viral marketing will do the rest. After the initial stage, you can maintain the interest in the game by announcing events, competitions, limited-time offers, new levels, unique artifacts. Naturally, all these techniques work under the condition that the gameplay is interesting and the game challenges have a reasonable balance of difficulty and skills. Of course, in a retail business, you should always try to use the game to encourage customers to buy more of your products. For example, you can introduce artifacts that can be achieved either through long and repeated playing or by entering a unique code found on the product packaging. Next time, when the customer needs to buy sugar, flour, or pasta, they will be more likely to choose your brand for the possibility to continue playing. Again, we would like to emphasize that advergame promotion requires only a minimum update of the packaging layout – a QR code for downloading the game on the front and codes for additional bonuses on the back. No other complicated adjustments are needed, so your promotion costs will be minimal. Which advantages does advergaming bring? Using a game to promote brand products brings multiple benefits. Let’s discuss them in more detail using a game that Jasoren built for one of our clients as an example. 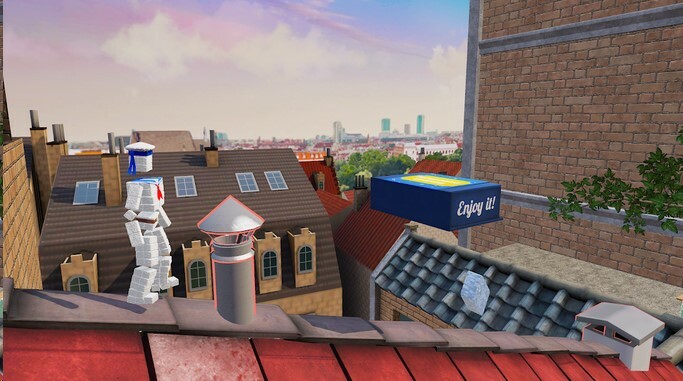 In that project, we worked together with Raffinerie Tirlemontoise, a Belgian sugar refinery, to create a game that could entertain customers and increase their loyalty to the brand at the same time. As a result, Raffinerie Tirlemontoise could enhance its marketing campaign with a funny game to attract customers. The T-man adventures became fun and entertainment for sugar buyers, as well as a multi-functional marketing tool for the brand. When an advergame is designed with brand colors, logos, and other characteristic features, the users start to associate it with the brand products. For example, customers who played the T-man game started to identify the sugar brand with the game and choose it among other sugar producers. The main character, T-man, is made of sugar cubes representing Raffinerie Tirlemontoise, and he encounters sugar everywhere along his way. Sugar cubes are also the game currency firmly tying the game to the sugar producing company. Of course, brand recognition may also be encouraged by directly integrating the brand logos in the gameplay. For example, a company choosing a car race game as its advertisement can place billboards with its logos along the racetrack. Such ads will not interrupt the game or annoy the players but create the connection between the game and the brand behind it. The brand recognition formed by the advertising game will have a lasting effect. Our best memories originate in childhood; thus, if a child plays the game, they will continue associating the excitement from the game with the brand. When the child grows up, the chances that they stick to the brand are rather high. In addition to attracting customers with a free game, the brand can stimulate loyalty by offering various game artifacts with product purchases. The codes on product packaging can turn into game currency, lives, artifacts that are available only through purchases, progress to new levels. In our client T-man game, they encourage loyalty by offering main character costumes against codes on sugar packaging. 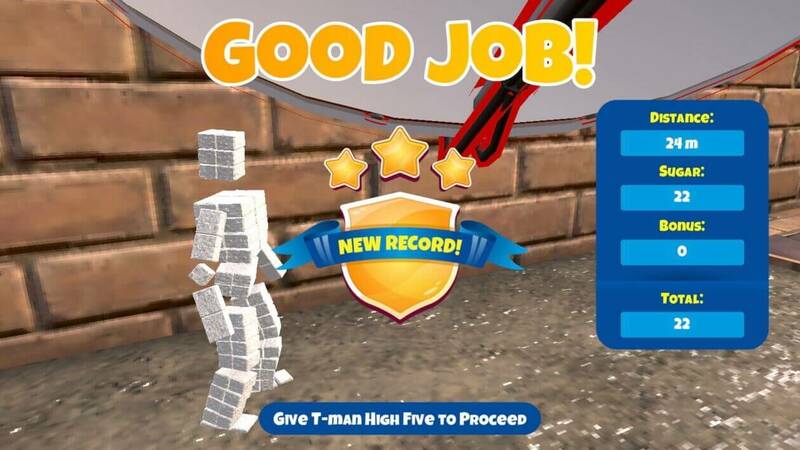 In addition to a fancy look, costumes give specific skills useful in playing the game: for example, the “Athlete” costume gives T-man the Triple Jump skill, while the “Superman” costume has an increased Heartwarming level. Advergaming gives literally endless possibilities for loyalty-increasing offers with product packaging being the universal space for collecting game items. But you have to buy first, don’t you? Today, most games start with creating a user account that usually means providing either an email or a social network profile. 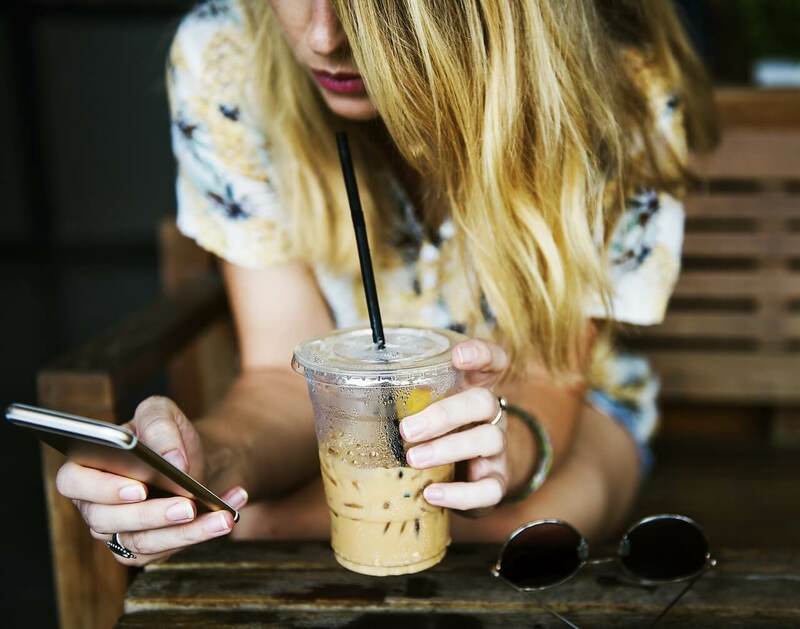 Et voilà, you immediately get a direct communication channel with your customer that you can use to send newsletters or promotional announcements and maintain contact in social networks. However, if you are operating in the EU or offer your products to residents of the EU, make sure that you comply with the GDPR in terms of data privacy and protection. The game may also include little quizzes related to the brand’s line of products to find out the user’s preferences and tastes. This way, you can target your ads with maximum effectiveness. 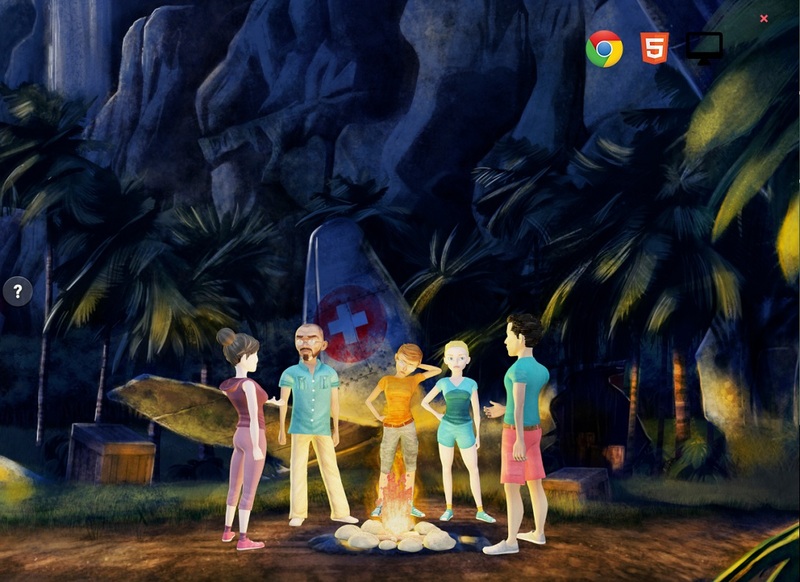 Together with the game, you can launch promotional pages and groups in the most popular social networks. Offer game bonuses for joining the group and/or inviting a friend to join. If, for example, you give a little amount of the game currency for each friend who joins the group or downloads the game by invitation, you will have users promoting your product themselves. Another important aspect of social network presence is competition. It is always more exciting to race against another player than alone, so by holding contests, you will increase the users’ engagement and raise sales. For example, using T-man costumes gives the player additional skills that may help them to win the competition. Therefore, they will be willing to purchase more sugar to get costumes or other game bonuses. With a smart marketing campaign, you can take your game offline to meet your customers face to face. The T-man game does not limit its prizes only to virtual items. On the contrary, the most loyal and active users get branded cups, cereal bowls, baseball caps, and even sugar factory tours, and concert tickets. Moreover, with advanced technology such as augmented reality, you can even take the game itself offline. Remember Pokémon GO? Why not do a similarly exciting AR-based game promoting your product and engaging users for hours? You will not be the first here. As early as in 2011, Magnum ice cream supported its new product with an AR chase around Amsterdam. Thousands of players were running in the streets collecting ice cream ingredients and avoiding hungry mouths. The campaign was a huge success with winners also getting physical prizes, such as SPA certificates, overseas trips and, of course, ice cream! 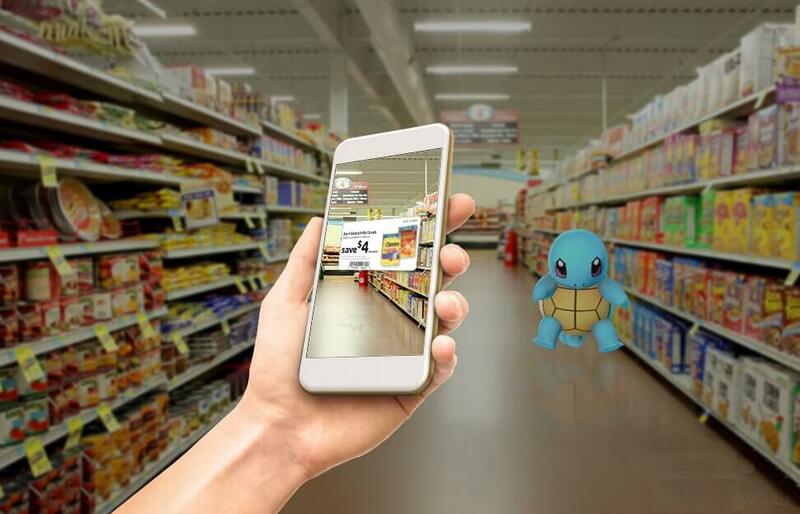 With augmented reality, the great thing is that no two game applications will ever be alike. This technology merges the real world with the virtual one creating endless possibilities. 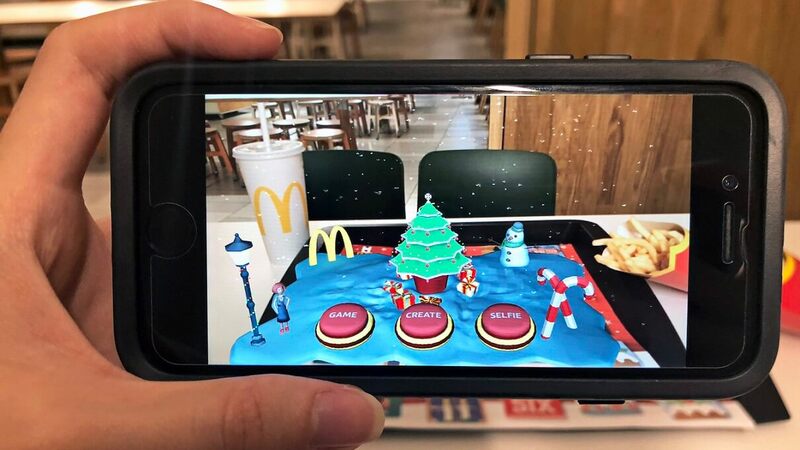 An AR-based advertising game is definitely going to be a success. What does it take to build an engaging advergame? Story. Each game should have a basic story behind it explaining the gameplay and characters. 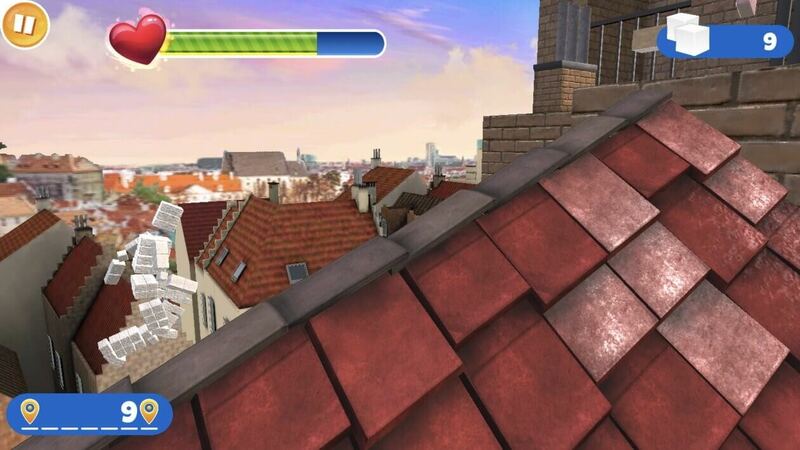 T-man, while being a classic runner game, is set in Brussels with the main character racing across the roofs avoiding various obstacles. Achievable goals. Find that perfect balance between too easy to be boring and too difficult to be frustrating. Make the user repeat a level half a dozen times to master the skill so that the game does not seem too easy or too hard. Attractive rewards. Try to offer rewards that will be useful for your customers. For game-related rewards, consider items that can help players progress along the gameplay – game currency, boosters, artifacts. For offline events, reward your customers with branded items or free products. Social integration. Make your game easily shareable in social networks by implementing a social login or urging players to share their achievements. Educational value. Users appreciate it when the game not only brings entertainment but also has some educational benefits. If we are talking about a game launched by a food product brand, you can always integrate nutrition facts related to your products or teach your customers to cook using your product as one of the ingredients. 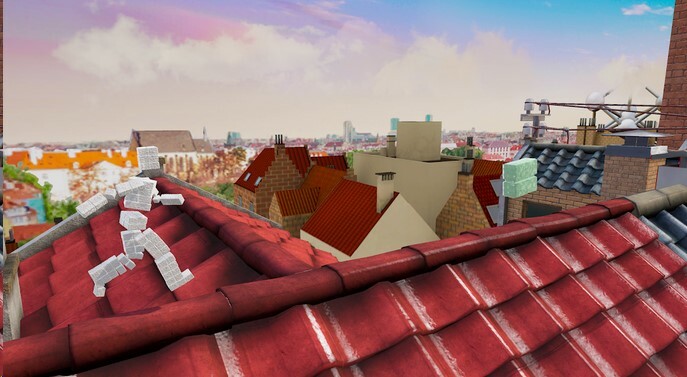 Or, you can take a totally different path and choose the approach we used in the T-man adventures – the game shows the famous landmarks of Brussels as the background for the main action. Professional development. It should come with a “no comment,” as any game is engaging and exciting only when its quality is flawless. Glitches and bugs ruin the effect in no time with users never coming back. 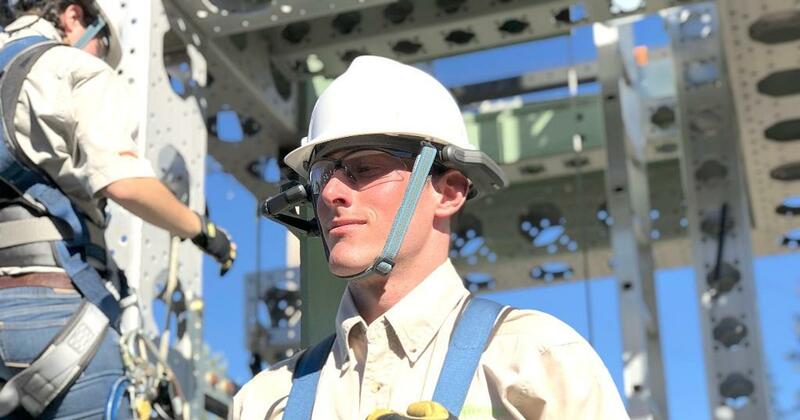 For games using such technologies as augmented reality or virtual reality, development quality is especially critical, as they heavily depend on the visual perception where even small errors will be noticed immediately. An engaging game with interesting gameplay, attractive rewards, great graphics, and impeccable quality will quickly become an inexpensive promotional tool that can raise the product sales, bring more customers and start its viral loop opening endless marketing opportunities. You can find more information about the T-man game on our website. If you want to try the game and see how it works, download it from Google Play or App Store (please note that the game downloading is available only within the EU). Besides, if you are interested in building advertising games, you can always talk to our experts who will gladly work with you on designing the game and creating a marketing campaign around it. Contact us for a consultation – we will be happy to discuss your project.